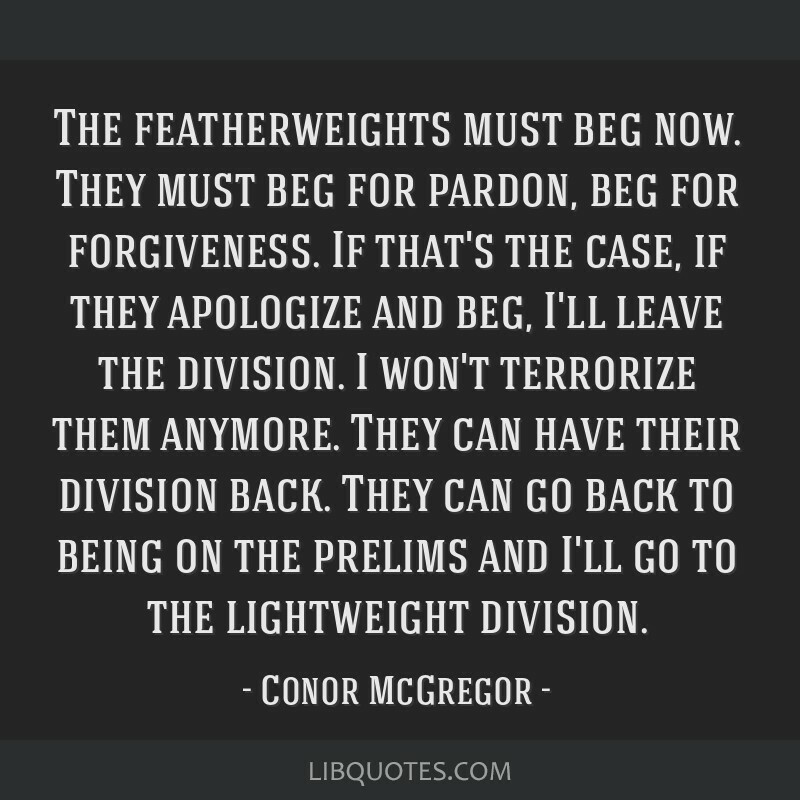 The featherweights must beg now. 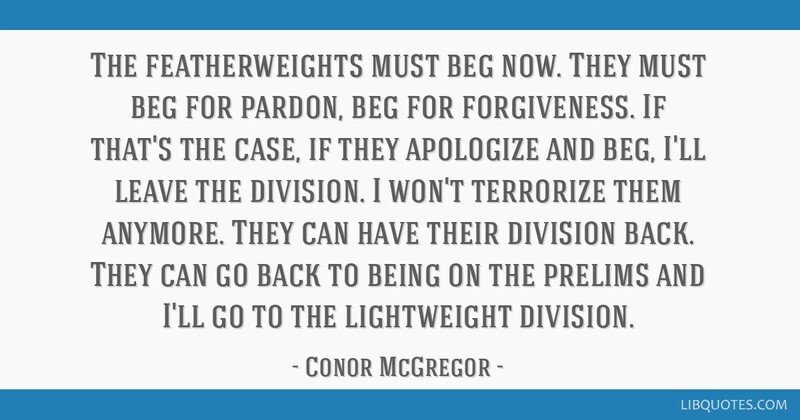 They must beg for pardon, beg for forgiveness. 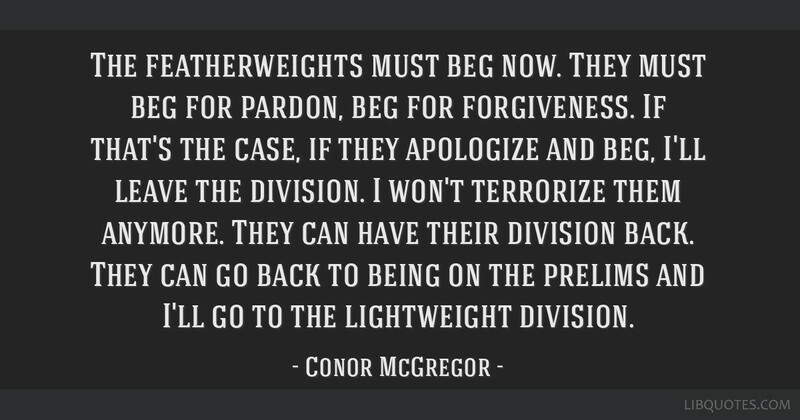 If that's the case, if they apologize and beg, I'll leave the division. I won't terrorize them anymore. They can have their division back. 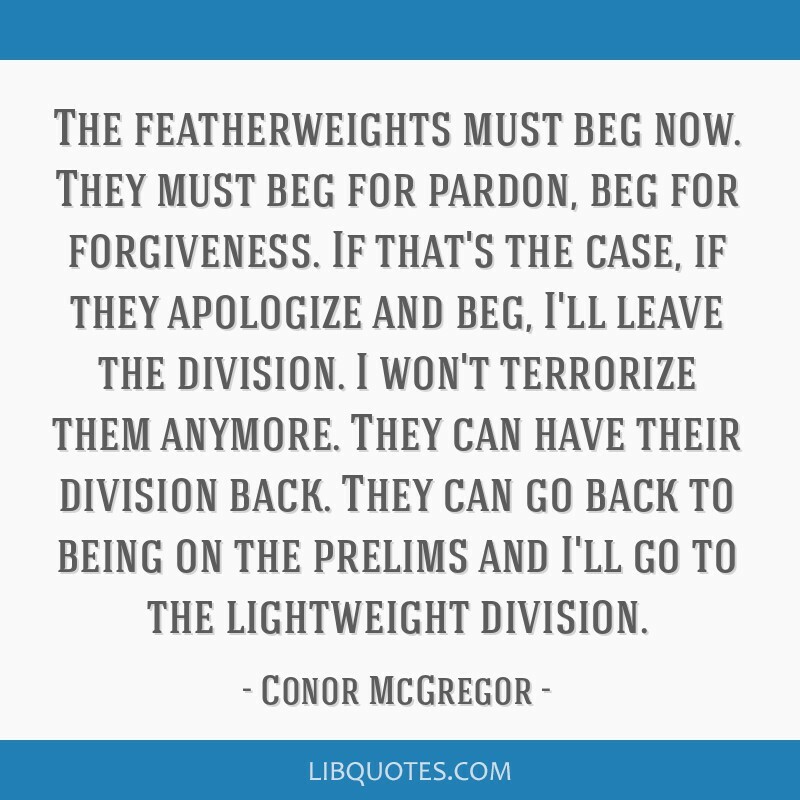 They can go back to being on the prelims and I'll go to the lightweight division.